My favorite films, year by year. Nothing from my top 100 this year, but Ran used to be on the list, and still resides in the top 250. It’s a film I go back and forth on a lot… sometimes I’m absolutely carried away by it, other times I’m a little bit bored in places. Knowing me, next time I watch it, I’ll fall in love with it again and will have to start rearranging my lists. It is certainly a beautifully composed film with complex drama, perfectly transporting Shakespeare’s story to another place and culture. Shoah is a movie I’ve seen only once… not just because it’s so long, but because it’s so affecting. I’ve seen an awful lot of Holocaust documentaries, and this one (along with Night and Fog) still stands at the top. One day, perhaps, I will muster up the strength to give it a second look. A movie I’ve seen a number of times is Brazil, which for me is easily Terry Gilliam’s crowning achievement. Fantastic production design, dark humor, and a story that is Orwellian and Kafkaesque in the best way. A Zed and Two Noughts is one of Peter Greenaway’s most cohesive works… his work can feel self-indulgent but here all the Greenaway-isms come together very nicely. It took a second viewing to really click with me, and now I look forward to a third. I’ve seen a hell of a lot of movies from this year, so it’s no surprise that three of them made their way onto my top 100 list. My favorite of the lot is Linda Linda Linda, which gets better every time I see it. Showed it to my fiancée recently and now it’s at the point where it might be top 10 material. Watching it gives me intense joy. I wish I’d had the sense to catch Malick’s majestic The New World in the theater. It looks astonishing on my television, it must be even more breathtaking on the big screen. The Wayward Cloud is Ming-liang Tsai at his most playful, and most provocative. 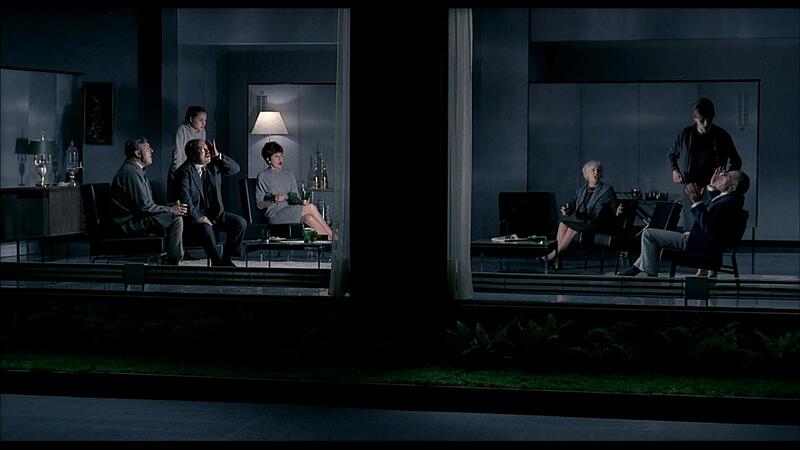 Most memorable is that final shot, a shocking image both beautiful and vulgar. There are several more treats from the Far East this year. Lady Vengeance is by far my favorite film by Park Chan-Wook, the height of his “revenge trilogy”. Dazzling and moving. Who’s Camus Anyway? is a cinephile’s delight, with references aplenty and a meta story about the creative process and the people who bring ideas to life. Fantastic ensemble work. Peacock is a film I’d love to see again, and keep hoping for a stateside release. Beautifully composed and full of the kind of quiet, gentle drama I cherish. 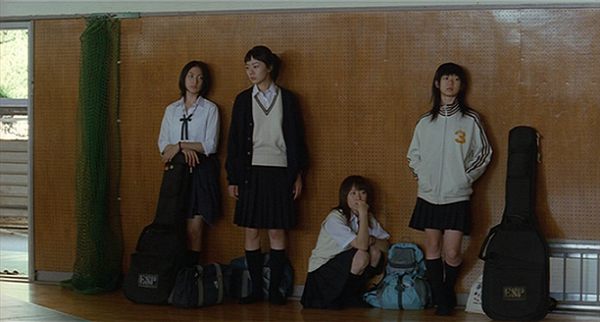 But there’s little “quiet” or “gentle” about Noriko’s Dinner Table, one of Sion Sono’s masterpieces, a whirlwind of shifting identities and bold techniques. On the documentary front, we have the endearing and entertaining Murderball, which treats its subject with admirable respect. Werner Herzog made a big splash with Grizzly Man, possibly his best-known film. Though Herzog and Treadwell never met, the pairing of such two massively compelling characters is endlessly riveting. Lastly, two fine examples of fan service done right. Serenity does a fine job of bringing the aborted series “Firefly” to the big screen, and is probably the best that anyone could hope for in terms of closure. I can’t say how it plays for newcomers, but for fans it’s a joy to have one last adventure with this cast of characters. And Wallace & Gromit finally made the leap to features with the delightful The Curse of the Were-Rabbit. Can we have another? My favorite of 1961 is one that I’ve written very little about. Alain Resnais’s Last Year at Marienbad is haunting, memorable, beautiful and strange… and very difficult to get a hold on. Is it a poetic rumination on the slippery nature of memory, or a look at fragile and fleeting romance, or a mystery waiting to be solved? To say “it is what it is” feels like the ultimate cop-out, but what it is is a film that casts a hypnotic spell over me. Currently on my top 100, Yojimbo is actually ranked one spot higher than Marienbad. That’s likely to change this summer when I shake up my list, but at the very least Kurosawa’s film will remain in my top 250. Exquisitely constructed and wickedly entertaining. One of my favorite noirs is Blast of Silence… a film which didn’t even make TSPDT’s list of 250 “Quintessential Noirs” but caught my attention due to Criterion’s release. How many other movies can claim such fine use of second-person narration? Ingmar Bergman’s Through a Glass Darkly is a given. One of his most Bergman-esque films, with a powerhouse performance by Harriet Andersson. Anthony Asquith gives us another of his wonderful dramas with the noir-ish character examination Two Living, One Dead. And you can’t get irreverent social satire more cynical and hilarious than Luis Buñuel’s Viridiana. Before I get into this, I feel I should mention that this year has an especially large number of films I haven’t seen in ages. Most of the movies in my “In the Middle” section are ones I haven’t seen for 20+ years, and would probably swing towards “like” or “hate” if I were to revisit them. With that caveat out of the way, there are three selections from my top 100 this year. 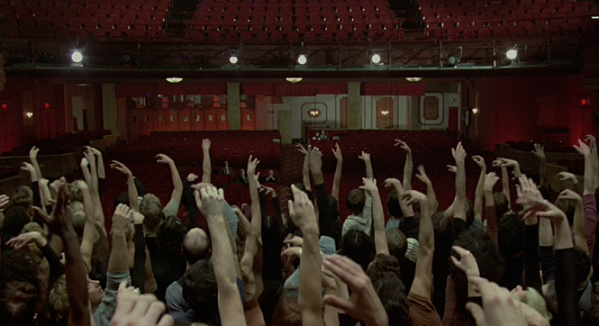 Bookended by two of the most compelling musical sequences I’ve seen, All That Jazz is a perennial favorite. Roy Scheider is utterly riveting. Francis Ford Copolla’s 70’s quartet of fantastic films is capped off with Apocalypse Now, in my opinion not only his best work but the best movie about the Vietnam War. And this is also the year of my favorite Tarkovsky: Stalker. Difficult to process but hypnotic and fascinating, with gorgeous imagery. While many prefer Cameron’s more action-packed sequel, for me the original Alien stands head and shoulders over any other entry in the franchise. Slick, entertaining, creepy and loaded with psychosexual subtext. As a fan of The Who since my early teens, it took me far too long to see the movie named after my favorite album by them, Quadrophenia. A terrific film all around. Camera Buff wasn’t Kieslowski’s first feature, but it was arguably his first “major” film, with a reflexivity that bridges his documentary work with the artful features that brought him to the world’s attention. Lastly, Tale of Tales is one of the most beautiful animated works I’ve ever seen, and one I really need to see again. Nothing from my top 250 this year, so I’m going to do something I don’t usually do… I’m giving the honor to a short. 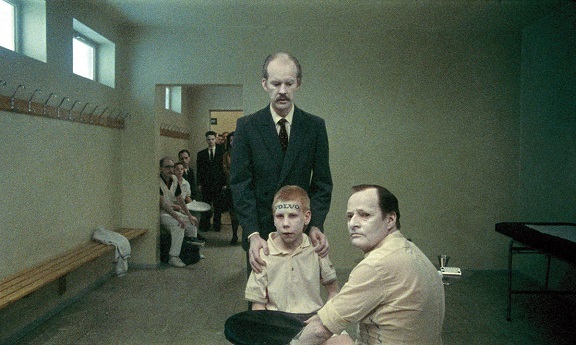 You can read my brief review of Roy Andersson’s World of Glory, or you can watch it yourself on YouTube (hit the “CC” button to turn on English subtitles). It’s a fantastic piece of work in Andersson’s signature style. If you’re not yet familiar with the director, this short would serve as a fine introduction. There’s great films beyond just my top 250. Although they had some fine — and well-respected — films before, it was Barton Fink that really put the Coen brothers on the map and rightfully made them critical darlings. Kieslowski’s The Double Life of Veronique is a beautiful and enigmatic movie, one that seems to hold many buried treasures under the surface. Jag Mandir is one of Herzog’s best documentaries, despite the fact that so much of it is free of his always compelling narration. And Isao Takahata’s Only Yesterday is a sweet and melancholy bit of nostalgia from Studio Ghibli. The Addams Family, Billy Bathgate, A Brief History of Time, Bugsy, Chizuko’s Younger Sister, City of Hope, Curly Sue, Father of the Bride, The Fisher King, The Flesh, Fried Green Tomatoes, Goopy Bagha Phire Elo, Grand Canyon, Hook, Hot Shots!, Kafka, The Last Boy Scout, My Girl, New Jack City, Nothing But Trouble, Once a Thief, The Ox, The Prince of Tides, Prospero’s Books, Regarding Henry, Riki-Oh: The Story of Ricky, Surviving Desire, The Suspended Step of the Stork, Until the End of the World, What About Bob? There are some pretty hugely respected films from these two years, films that repeatedly show up near the top of various canonical lists. Some eyebrows will probably be raised at the fact that neither Sunrise nor The Passion of Joan of Arc (both in the top 20 of TSPDT’s list) is among my favorites from this period. To be honest, both are films I really need to see again, it’s been 10 years and my cinematic sensibilities have developed a lot since then. Or maybe they just aren’t my cup of tea. My favorite for 1927-28 is another one I’ve seen only once, and that was 6 years ago. So perhaps my feelings about Napoleon would be different now as well, but at the time I found it gripping and masterful. Let’s hope the restored version hits Blu-Ray sooner rather than later, I’d love to have a second look at it. There was a time when Metropolis made my top 100. When I watched it a second time, I had a few quibbles that dampened my affection for it a bit, but it still resides in my top 250. There are some great films from the two titans of silent comedy. The Cameraman is perhaps my favorite Buster Keaton, and although I’m not a fan of Charlie Chaplin, I truly loved The Circus. 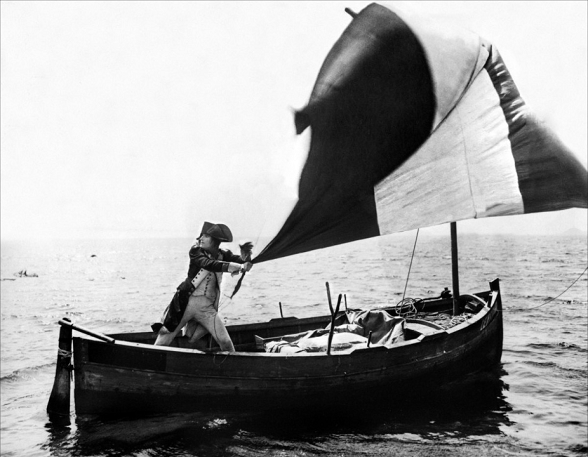 We have a pair of fantastic dramas: Victor Sjostrom’s The Wind and Paul Leni’s The Man Who Laughs. And what a fine time for surreal and experimental shorts, with my favorites being Ghosts Before Breakfast and La Coquille et le Clergyman. The early 2000’s were a particularly busy time for me, movie-wise. I was in a relationship where our weekend routine usually involved at least one movie in the theater. It led to a lot of mediocre movie viewings. Interestingly, although there are four films from this year in my top 100, none were ones I saw in the theater, but discovered only later on DVD. Weird that I didn’t go see Mulholland Drive on the big screen, since Lynch was and is one of my favorite directors. It’s one of his best works, one that richly deserves a Blu-Ray release. Although I was familiar with Wes Anderson through his earlier films, it was The Royal Tenenbaums that really turned me into a fan. I believe What Time Is It There? 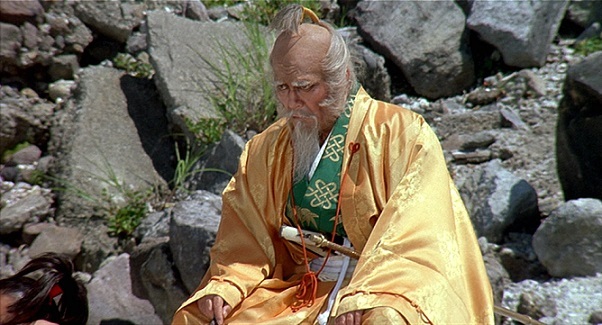 was my introduction to Ming-liang Tsai, a director I now worship. And Amelie is simply adorable, the Manic Pixie Dream Girl who takes center stage rather than acts as a catalyst for a male protagonist. Here we have one that I did see in the theater… in fact, even waited in line for the midnight opening. Although I no longer have the same affection I once did for the “Lord of the Rings” trilogy, The Fellowship of the Ring still holds up as very entertaining viewing. And so does the surrealist anime short Cat Soup, a wild and unpredictable ride. And for courtroom drama that will get your blood boiling, the documentary Murder on a Sunday Morning is a riveting piece. Although none of my absolute favorites come from 1997, there’s still a lot of really good movies. 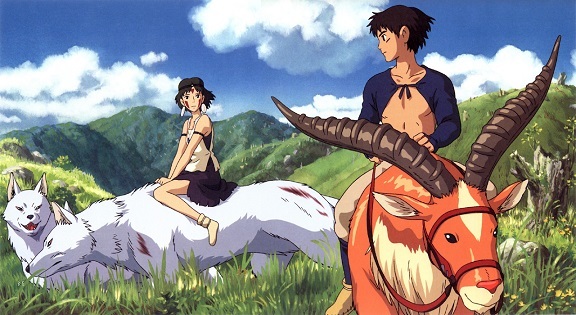 Going by my Criticker ratings, Princess Mononoke comes out on top. It’s been 11 years since I saw it and I was blown away by it. Why haven’t I revisited it? Part of me is waiting for a Blu-Ray release, but another part is afraid the magic will be gone. To be honest, I’m not sure I wouldn’t rather put something from my “slightly less creamy” section here instead, but until I rewatch it, I’ll trust my initial judgment of this movie. I do look forward to seeing it again, but at this point it’s been so long that I might as well just keep waiting for that Blu-Ray release. I don’t like to use shorts for the “Cream of the Crop”, but tied with Mononoke is Stan Brakhage’s Commingled Containers, one of my very favorites by him. Jafar Panahi’s The Mirror is a fascinating slice of meta-filmmaking. 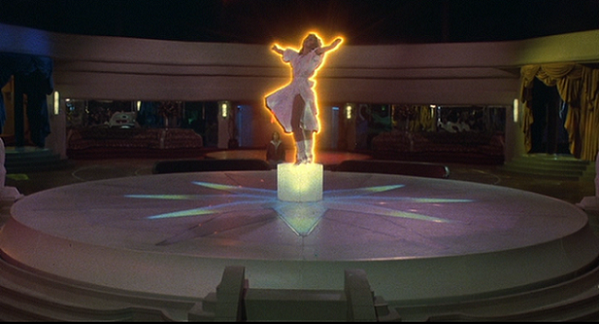 I’m not the biggest Paul Thomas Anderson fan in the world, but I’ll always have a soft spot for Boogie Nights. Mother and Son has some of the most beautiful — and unusual — cinematography I’ve ever seen. Another beautiful and mysterious film is Majewski’s The Roe’s Room, a haunting bit of filmic poetry. Lastly, although many are put off by Michael Haneke’s finger-wagging, I find Funny Games to be a remarkably powerful piece of work. Haven’t seen a lot from this year, and there’s nothing left that I particularly want to see at the moment. I’d call it a pretty “lean” year, except for one little thing. Casablanca is rightfully regarded by many as one of the greatest movies of all time, and it currently holds the #3 spot on my own list. I have yet to write more than a couple of brief sentences about Casablanca, but I’ve never felt a need to. The movie speaks for itself… it’s like some sort of natural phenomenon, a perfect movie that just emerged out of the earth. Like I said, it’s a lean year. The only movie I have for this section is one of several works by Orson Welles that were butchered by a studio: The Magnificent Ambersons. I’ve stopped hoping for a miracle that will give us the film as Welles wanted it… at this point, I’ll just settle for a decent Blu-Ray release. Maybe not one of his most distinctive works, but a wonderfully crafted story. This is a big nostalgia year for me, with three of my childhood favorites lasting into my current top 100. Airplane! would likely get my vote for the Funniest Movie I’ve ever seen, jam-packed with gags… and good ones, too. If it’s not the film I’ve seen more than any other, it’s gotta be in the top three. Another comedy that I return to over and over again (and always enjoy the hell out of it) is The Blues Brothers, which would get my vote for Best Chicago Movie, and based on my limited experience, Best SNL-Related Movie too. The Shining is one that I saw at an early age — the first few times in an edited-for-TV version that had all the naughtiest bits cut out — and have consistently returned to every few years. Best Stephen King Adaptation? Without a doubt. Scariest Movie? Yeah, maybe. And while it’s not currently on the top 100 listed on this blog, it likely will appear in the next revision… the gloriously campy and endearingly earnest Xanadu. Since we’re giving out awards, I’m going to call this my Most Hated Favorite. Because people are dumb. The older I get the less I care about the “Star Wars” movies. But The Empire Strikes Back is the crowning achievement of the series, a film that remains untainted by its association with the dreadful prequels. Will we ever get an un-fucked-with version of it on Blu-Ray? Ordinary People is a touching gem, with great performances all around but especially Mary Tyler Moore. And Mon Oncle d’Amerique is another wonderfully playful film with an experimental narrative style by the late, great Alain Resnais.